The mouse is in the house! Walk into the party in these grey mouse kigurumi pajamas and you’re sure to be the talk of the entire event. Swing your long mouse tail while the DJ spins his tunes. Our adult onesie pajamas are the perfect party accessory featuring handy pockets for all your gear and an easy button closure (Mouse-feet not included). 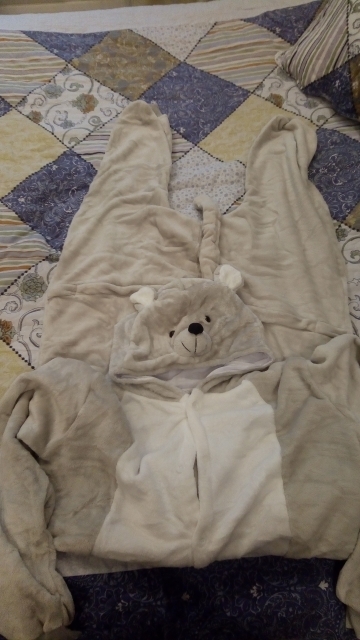 How Cute am I Gonna Look in Your New Adult Onesie Pajamas? Our scientific research puts you at a cuteness level of 102 in your new onesie pajamas. I Know Your Fleece Onesies are Cute but are They Warm Also. What Sizes are Your Adult One Piece Pajamas are Available In? What are You Charging to Ship These Mouse Kigurumi Pajamas? Know a dude or dudette that’d enjoy a grey mouse kigurumi? We got you covered. Literally. Our adult onesie pajama’s come in a variety of incredibly cozy cosplay styles. Order one today, or pair it with one of our cat fleece onesies for a fun game of cat and mouse.